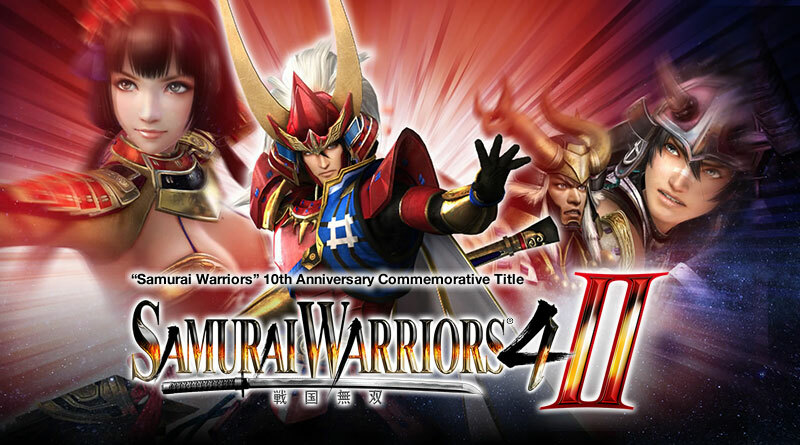 Samurai Warriors 4-II is (deep breath) the first sequel to the third numbered sequel to the second of two prominent Musou games by Omega Force—the first being Dynasty Warriors. Whatever its flaws or triumphs, this is pretty obviously not a good place for a noob like me to begin his Musou experience. But here we are, so let’s give it a shot. Like all Musou games, Samurai Warriors 4-II is a third person hack-and-slash affair in which hundreds of cannon-fodder enemies clump together in groups, awaiting the privilege of being taken out a dozen at a time by a single swipe of your sword or staff. It’s the stuff of pure power fantasy. You roam the large, open battlefields like a kid on an anthill, mowing down legions of helpless soldiers with the unbeatable strategy of pressing the triangle button over and over and over. Periodically you receive objectives that, for the most part, require something to the effect of “walk over there and kill a specific, slightly more durable enemy.” In these encounters, a wise and crafty samurai knows that tapping triangle will not do—instead, you tap square. The story mode is, as far as I can tell, the main draw here. Like the rest of the game, it’s really long and fully fleshed out, and for a fan of the genre I can imagine it holds a great deal of value. You play as one of twelve characters, each with their own campaign, cutscenes and sidekicks. The story is essentially a high fantasy soap opera (complete with love affairs, betrayals and pulpy drama) mapped onto a real, historical, 16th–17th century Japanese timeline. This means that all the major plot points—which daimyo has which feuds going, which lord captured, which territory—are real historical occurrences. This would be a cool idea, and it definitely piqued my interest as a newcomer, but the value of historical accuracy is quickly and completely lost amidst the absurdity of the moment-to-moment gameplay, and the interpersonal drama of the cutscenes. The most fun I had with Samurai Warriors 4-II came in the survival mode, which pares down the gameplay experience into something that felt much more accessible to those of us who aren’t longtime fans. Survival mode is basically a dungeon-crawl, in which you complete simple objectives to unlock the door to the next level of a seemingly infinite castle. The maps are smaller and more cramped here, which improved the experience for me, as it removed the map navigation and traveling between objectives that bogged down the story mode. Survival mode is a quick and simple way to enjoy Samurai Warriors 4-II’s over-the-top action gameplay without any unnecessary trappings. Loot earned through survival mode is equippable in story mode, which is a smart move that helped me blaze through the first few maps when I returned to try the story again. Survival also had two sub-modes: gold rush and time attack. Samurai Warriors 4-II (taken, as a noob like me must, without reference to or awareness of its predecessors) is a really huge game with a high degree of polish and a wide variety of content and game types. If you already own Samurai Warriors 4 I can’t say whether Samurai Warriors 4-II has enough new and different content to justify a purchase. But if you have fond memories of past Mosou games like Dynasty Warriors or Dynasty Warriors: Gundam, or if you think this kind of power fantasy might toot your horn, I can promise that, if nothing else, Samurai Warriors 4-II is a ton of Musou for your dollar.